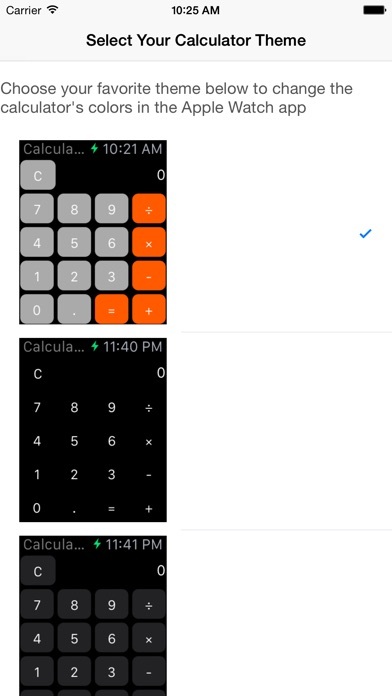 Calculator Wrist Ultimate for Apple Watch is the best and easiest way to perform mathematical calculations while on the go! Use the iPhone app to configure and save your favorite calculator color scheme. See the color change live on your Apple Watch as you make your selection. By Want May Money Back!! I like how easy it is to Press the numbers on the watch without have to accidentally press the wrong one like other app an there's no lag and gives a quick response and it's just has a simple to use like it should be!